Our philosophy: you do NOT have to 'live' with neck and back pain. Physical Therapy@acac offers balanced therapy options including manual therapy, exercise and education, and return you to living a healthy life without back pain. The secret to alleviating your frequent headaches may lie in your neck. Muscle imbalances or prolonged postures, such as sitting in front of a computer, may be the culprit. Frequent headaches can adversely affect your work productivity and family time can suffer as a result. 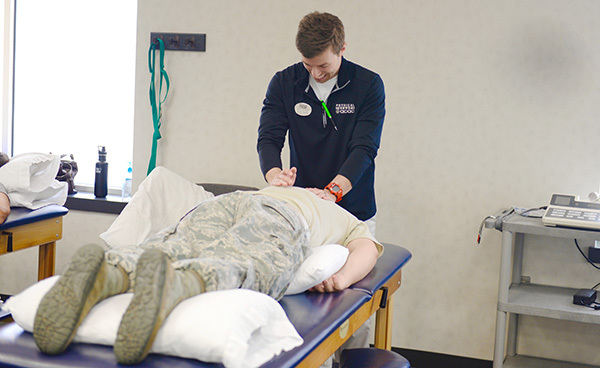 PT@acac offers specialized manual therapy techniques to decrease muscle tension and restore normal motion to the head and neck. As part of your treatment, and your therapist will teach you simple exercises to encourage proper posture to avoid re-injury. After their course of treatment with us, our patients usually experience a notable decrease in frequency and intensity of their headaches.